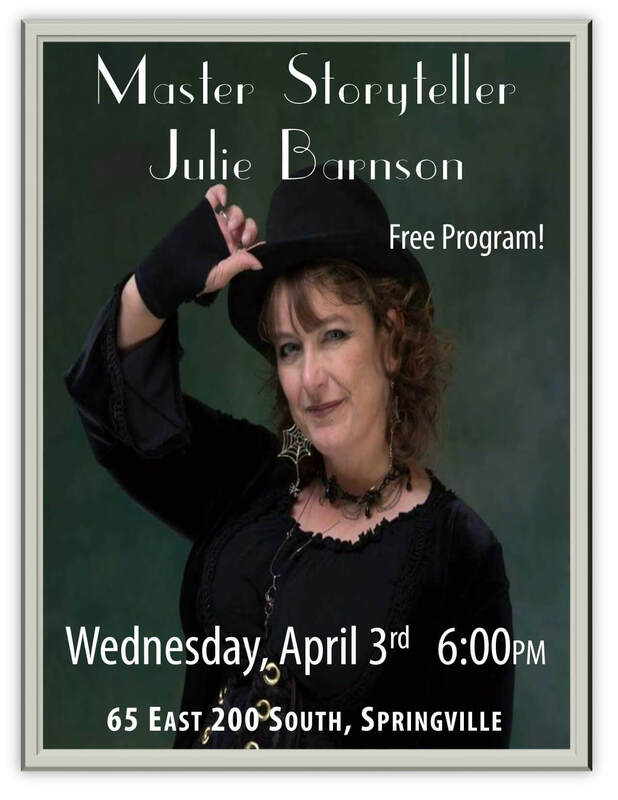 Acclaimed storyteller, Julie Barnson will perform on Wednesday, April 3rd at 6:00 p.m. as part of the Springville Senior Center’s Evening Presentation Series. All events are free and open to the public. Come and enjoy this evening of fun and stories at 65 East 200 South. For more information, please visit springvilleseniorcenter.org or call 801-489-8738.